How can I establish a nationwide combat training program for a country without causing economic or political instability? I am the dictator of a nation with a population of 350 million people. In order to keep our nation strong and independent, I have decided to institute a nationwide combat preparation program in which citizens (men and women) would be taught some degree of military training in order to prepare for war or defense of the homeland. All people would go through this program before entering the workforce or going on to higher degree of education. Upon completion of the program, people invested in having a career in the military would go on to enlist, continuing to train their entire lives. All others would go back to being good and productive citizens. There are some nations such as Israel that has mandatory conscription for all citizens over the age of 18. A much larger nation called the Soviet Union tried this and proved successful for a time, before collapsing. An order like this has the potential to cause economic and political instability, such as reducing the workforce and preventing it from producing food, or people simply trying to get out of the service in some way. Is it feasible for me to successfulky institute this law for my nation, which has a much larger population? How can I make this happen successfully without causing unintended negative consequences for the nation? Sure, why not? The Soviet Union had mandatory military service pretty much EXACTLY like what you're describing with a population that size. The factors that would make it difficult to have nationwide combat training have everything to do with politics (your population refuses to participate) and economics (you can't afford to have all those people not producing food), and nothing at all to do with how big your country or population is. In addition to the Israeli Defense Force, you have the Swiss Militia, which has mandatory conscription, and the United States, which has one of the largest volunteer forces in the world. (China and India have larger active duty numbers, because they are both one billion strong populations. Of those three, per capita total active duty U.S. Military forces is 4.2 persons per 1000 citizens, where as China is 1.5 persons per 1000 citizens and India is 1.1 per 1000). The United States also has a population just slight under your nation's, and aside from the active duty and reserves, has a highly armed civilian population, with more guns than citizens. Yamamoto famously cited this as one of the reasons Japan really really really should think twice about winning a war on the U.S (they didn't not that it got to that point... though it should be pointed out that the United States Civil War is still deadliest war in its nations history and remains the deadliest war fought in the Americas ever) and it did practice conscription in World War II, so it can be scaled up. While I'm not familiar with the Israeli system, the Swiss system is basically founded on the belief that citizenship also entails some obligations to the community, so all citizens by law perform community services upon reaching age 18. This is most typically seen as military duties, but many community fire departments, EMS services, and other services are staffed by people performing this duty time. Conscientious objectors can either opt to a non-gun service or join the military in an unarmed role (usually a combat medic, which can't carry weapons per rules of warfare or chaplains, who cannot do this either). Typically this involves a 30-week duty period plus a period of time as reservist status if not choosing to be a career military (enlisted typically leave reserve status at age 30 and officers at 34). Reservist famously took their standard issue weapons home with them along with bullets for the weapon that were regularly checked to ensure they were not used without instruction, though this practice was abolished recently, and now the reservist will have to report to the near by ammunition depot for his ammo and, if choosing to not keep it in the house, his weapon. Switzerland is very mountainous and many of their defensive strategies involve forcing hostile forces into narrow passes which are basically shooting galleries. It was once joked that a Nazi General once met with a Swiss General and and asked "What would the Swiss do if I marched into Switzerland with an army a million Germans strong?" The Swiss General Responds "Well, then I would meet your army with an army of a million Swiss and we would each shoot once and then go home." The Nazi General smiles, and says, "Suppose I come with army of Two million men strong, what would you do then? (About a quarter of Switzerland's total modern population)" The Swiss General answered "Then we would shoot twice." With any military, it's also not about shooting... but who helps you to shoot. An accepted rule of the military is that for every man on the front line, their are four men behind him in support tasks (food, supplies, logistics... a military marches on it's stomach), which is why the United States is such a formidable foe. The United States military invests a ton of money in getting supplies to the boys "Over There" as the World War 1 song calls the war front. World War Two implemented rationing when it wasn't needed so that supplies could go to front lines, and while the rest of the world was marching to the battle lines, the U.S. brought jeeps and drove... There's something to be said for troops that drove 35 miles fighting troops that marched the same distance. And while the U.S. has not done conscription since the Vietnam war, signing up for the Draft is still required by all male citizens, and again, their arsenal of civilian weapons knows no equal in the world. It has long been understood that an invasion of the United States would be damn near impossible by the huge territory alone, but the fact that the population is heavily armed. As one of my friends observed The Swiss' gun culture is strongly informed by fear of the threat of outside governments invading it, but the U.S. gun culture is informed by the fact their own government was once the enemy (and now we call it the UK)... so the people who own guns in the states, more often than not will be more than willing to admit that if the day comes when the government will turn against the people, they will shoot the government... and if they are willing to do that to their own government, what do you think the attitude to invading forces would be? Where I see problems with your hypothetical nation though is something that the U.S., Swiss, and Israeli countries have, which is a strong sense of democratic self and the idea that it's up to the people to fight for the nation. This is an attitude not often found in a dictatorship in general, which may have to control for more descent in the ranks of the conscripts than the United States, Swiss, and Israeli forces have to put up with. The Swiss is very neutral and their military exists to ensure it doesn't go to war, the less I discuss Israel the better... But they've had a lot of wars in a very short history, most of which leave them surrounded but for the ocean, and citizens tend to be committed to defending themselves. In the United States, starting wars has been a rare recent affair, and they've only truly done it with the volunteers only... conscription tends to happen when they've been attacked and wish to defend the nations ideals. You'd most likely need to really work around how you can get your common man to understand the need for his conscription into service is good... or all you do is arm your rebellions. Whilst it might not be quite what you’re looking for, Medieval England effectively trained conscripts to be longbow men. This was done through a law stating that all citizens between the ages of 15 to 60 should be armed. It was not formal training but it allowed for a stronger foundation so that, if they were conscripted, they could be trained faster due to not having to start from no experience at all. Its a similar idea to it being the law for all men to own a sword, it allowed for armies to be quickly equiped, trained and mobilised. If you wanted to apply this to a more modern setting, you could make it law that all citizens between 20 to 50, for example, must own a firearm (similar to the American’s “Right to Bare Arms”). This would mean that you would still gain the advantages quickly equiping, training and mobilising your army of conscripts. Russia had problems with equipment during the first and second world wars due to being so large, men were sent to the front lines unarmed and instructed to pick up the gun of the man infront of you. However, if it is law in your country that every citizen must own a firearm, you essentially have a huge stockpile of weapons and a standing army to use them. While not everyone will be a combat-ready soldier, most people will be at least familiar with firearms seeing as almost everyone in the country, inluding them, owns one. You also will have many who are informally trained to use a firearm, such as by older family members or even state education if you made it law that adolecents must be taught about using firearms safely. You could even have policies that encourage first-person shooter games which, studies have shown, do increase aim with actual firearms and willingness to fire at other humans. I can’t remember the name of the documentary but that might be for the best, its not a subject for polite conversation. While there have been a number of good answers, I will question the premise. Why do you believe that you need to provide combat training to the vast majority of the citizens of your nation? Modern warfare has long ago left the age of mass combat and mass armies. 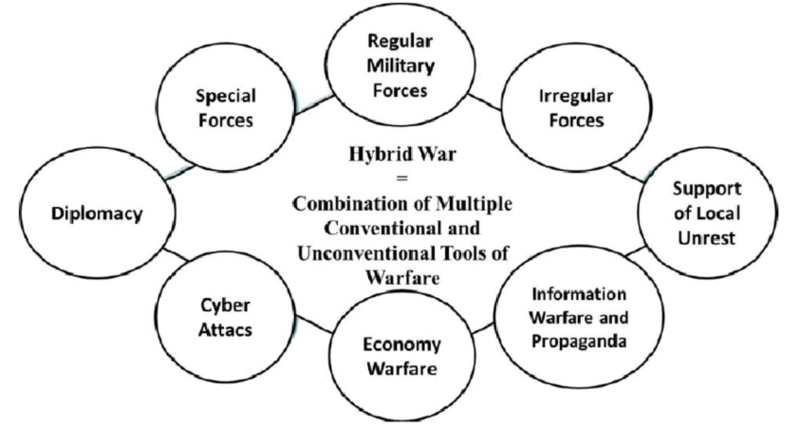 As well, military activities take place across a wide variety of domains: land, sea, air, space, cyber and cognitive. Training people to be riflemen may be an "ideal", but a USMC fighter pilot in an F-35, a member of the Israeli Defense Force "Twitter Platoon", an engineer aboard an Indian Arihant-class submarine or a member of the United States Space Force at their console controlling a satellite in orbit have very limited need for "combat" training the way we normally think of it, but a great need for specialist training. What in the West is often referred to as "4GW" (Fourth Generation Warfare) encompasses "DIME" (Diplomacy, Intelligence, Military, Economic) tools also used as the situation suggests. Few people might suspect Fracking is a major tool in how America confronts Russia and Iran, for example. So unless there is another reason which you believe that making everyone undergo mandatory military training serves, you might be far better off conserving your resources and applying them to the specialties that are needed in modern warfare. As mentioned already, most European nations had conscription well into the 20th century, demanding military service for all men "able of body and mind" for a period of usually 1-2 years during which they would receive basic training and some specialist skills depending on their aptitude. They could also be recalled for recurring training of a few weeks every couple of years. The main problem with such a system is morale. The conscripts tended to be poorly motivated, and didn't make very good soldiers as a result (in general). Their combat skills would often be questionable. Conscription during times of war (or the short term threat thereof) is usually more effective as people tend to be more motivated to serve their country in such times, plus the very real prospect of having to depend on the skills you're learning for personal survival within the next few weeks or months is a great motivator, far more than getting chewed out by a drill sergeant for not meeting the expected performance standards. Not only Soviet Union. I believe all communist countries had such systems for men. And they were all despotic countries at that times. Value of such military force, especially for attacking enemy who does not pose a threat is questionable though. rather than enforcing conscription before studies do exactly the opposite - postpone it after the student completes their education and offer the grads immediate possibility to become officers. This will boost your education levels. instead of a single long military training replace it with shorter recurrent one. Make it 2 months basic training at the beginning and then a week or 2-weeks training every 1-2 years. make sure that your training methods do not follow strict military drill. This was very demotivating in the real conscription. Make the training interesting so that people will to join it. add some basic training during the school time - be it weapon handling, tracking, communication, strategy, survival, cryptography etc. Make it fun, through games. Kids learn a lot and through games learning is most efficient. How many people don't like paintball (especially laser, where you are not worried about being hit with the ball of paint)? Not the answer you're looking for? Browse other questions tagged society civilization combat or ask your own question. Overpopulation . . . IN SPACE! How would a drug cartel claim legitimacy as a government entity? Ways to decrease social mobility other than aristocracy? What is a reasonable size for the elite of a dictatorial, neofeudalist superpower? How would an economy, and country operate without fiat money?